The Azerbaijan Cultural Society and the Assistance Foundation of the Republic of Turkey have already held the International Turkic Symposium in Ankara for the second time, within the framework of which the conference "Letter from Crimea" dedicated to the work of Crimean Tatar women writers was held. 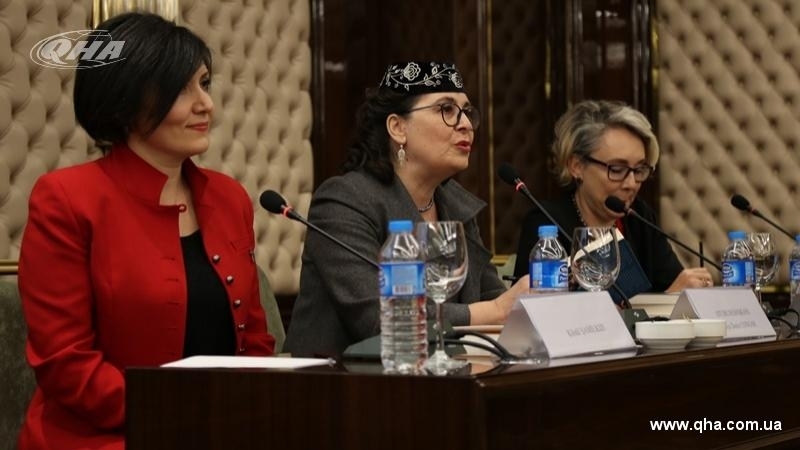 The main goal of the symposium was acquaintance with the works of the Turkic writers, as well as studying their influence on the social sphere, the Head of the women's branch of the Azerbaijan Cultural Society Nesrin Askeran Ünal said in her opening remarks. “Crimea and Nagorno-Karabakh are our two sensitive subjects. Both territories are under occupation. And we want to share this problem with you through literature," Ünal stressed. At the symposium Crimea was presented by the teacher of the Crimean Engineering and Pedagogical University Milyara Settarova, who told about the fate of the Crimean Tatar writer Aliye Veliula, and also read out an extract from her work. "It has always been important to represent our culture, history and art not only in the Turkic, but throughout the whole world. Because people learned of the Crimean Tatars only after the Moscow events of 1987. Our fraternal Turkic peoples are hosting a second symposium this year dedicated to women writers from among the Crimean Tatars. Not only the Crimean Tatars speak about Crimean Tatar writers' works, but also representatives of the Republic of Azerbaijan and other countries," Milyara Settarova told a QHA correspondent. Zera Bekirova, the Editor-in-chief of the Crimean Tatar women's magazine Nenkejan, told the participants of the symposium about the difficult fate of Crimean Tatar women writers. In turn, Professor Aida Bagirova reminded all those present of the important contribution of the outstanding Crimean Tatar educator İsmail Gasprinskiy to the literature of the Turkic peoples, as well as the activities of his daughter, the writer Şefiqa Gasprinskaya. In the framework of the conference, the journalist Gönül Şamilkızı, who recently published the book "The Crimean Fire", addressed the participants, as well as the writer Serra Menekay - author of the famous work about the fate of the Crimean Tatar people "Breeze from Alushta. One of the Crimean songs "(" Aluşta'dan Esen Yeller, Bir Kırım Türküsü ").